Are you looking for bite size snack sticks? US Wellness Meats has shortened snack sticks into convenient 2-inch pieces, which make a perfect snack for all ages! Snack Stick Ends are fully cooked and ready to be enjoyed right out of the package. 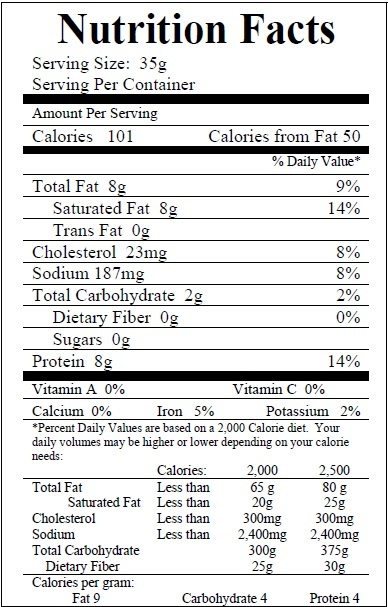 Beef Snack End Sticks are free of MSG, nitrates, binders, gluten, and artificial flavors. All of US Wellness Meats’ beef products are 100% grass-fed and grass-finished. Are you looking for bite size snack sticks? US Wellness Meats has shortened snack sticks into convenient 2-inch pieces, which make a perfect snack for all ages! Snack Stick Ends are fully cooked and ready to be enjoyed right out of the package. Production of Beef Snack End Sticks is limited. Therefore, inventory will be hit and miss. So, do not miss your opportunity to get this snack. Beef Snack End Sticks are free of MSG, nitrates, binders, gluten, and artificial flavors. Because US Wellness Meats does not use preservatives or nitrates, the jerky is not shelf stable. Once thawed, jerky will keep in the refrigerator for 7-10 days. These little beef bites are not only great tasting but so convenient when you want a quick healthy snack to take the edge off of binging or just to have watching a movie instead of garbage snacking which many tend to do. So healthy, paleo and keto strong. Thank you for these wonderful chemical, additive free DELICIOUS snack bites. The same for the beef sticks.